STCE's Comic Con returns to the Student Center on the Campus of Texas A&M International University! Come Join us at STCE's Comic Con for a weekend of great family friendly fun! STCE's Comic Con will have vendors, cosplayers, comic book artist, celebrity guests, gaming, contests, Q&A Panels, our legendary Cosplay Contest with a $1000 cash prize for best in show and so much more! 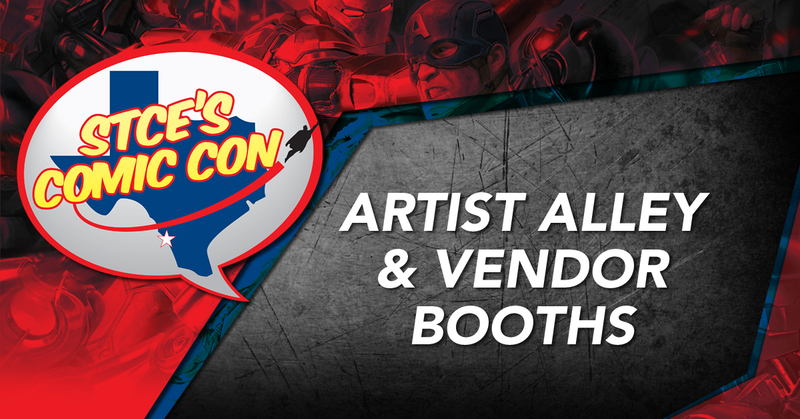 Come meet some of your favorite heroes from Television and Cinema, comic book artist, and cosplayers at STCE's Comic Con. Guests include voice actors from Dragonball Z, Actors from Star Wars, Power Rangers, the Flash and much more! Take advantage of our limited time "early bird" special pricing for tickets! Online ticket prices reflect the discounted price. Get your tickets soon because you don't know how long the promotional price will last.